A plan with friends to meet this summer in Paris led to Julie and I taking heading to the European continent via England, with the idyllic Lake district in West Yorkshire as our base camp. Our Sedbergh trip deserves its own blog, so watch this space. The trip also coincided with our 21st wedding anniversary, and so at Julie’s behest, we made a side trip to the Normandy region of France. What great idea that turned out to be! Claude Monet, paving the way for the formation of the Impressionist movement in the 19th century. We arrived on a Wednesday, a typical market day for many small towns and villages across Europe. The Wednesday market sees local tradesmen, farmers and a variety of characters selling their wares, but it is also a an opportunity to chat and pass the morning, amongst the smells tastes and aura of this charming place. 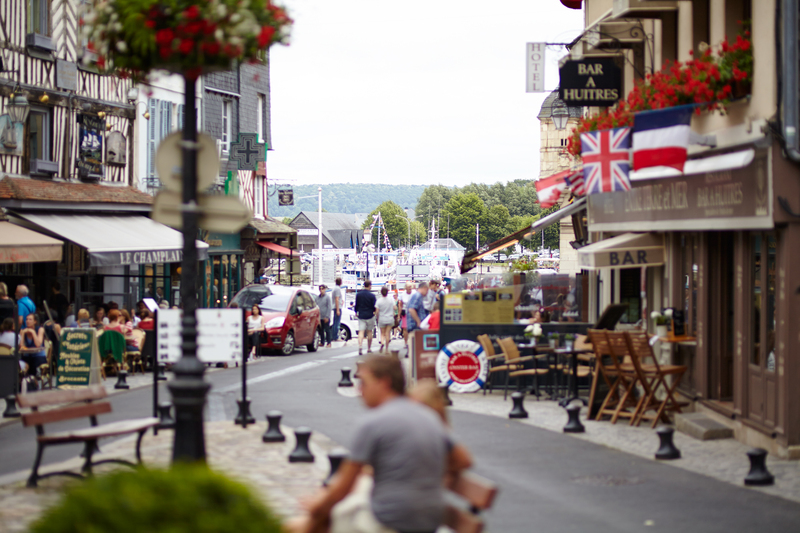 Honfleur however, is also the home of well-heeled French folks, so the atmosphere is both parochial and chic. 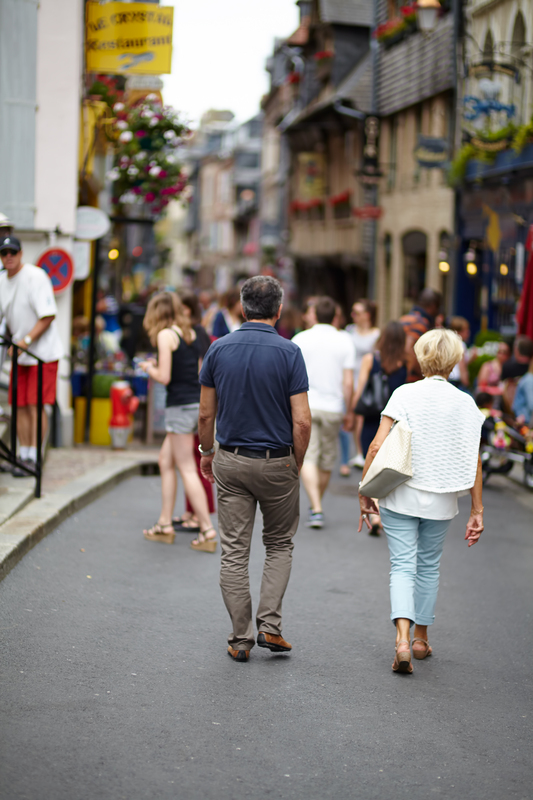 The colors, textures, smell and sounds envelop Honfleur and testify to the beauty of ‘old Europe’. 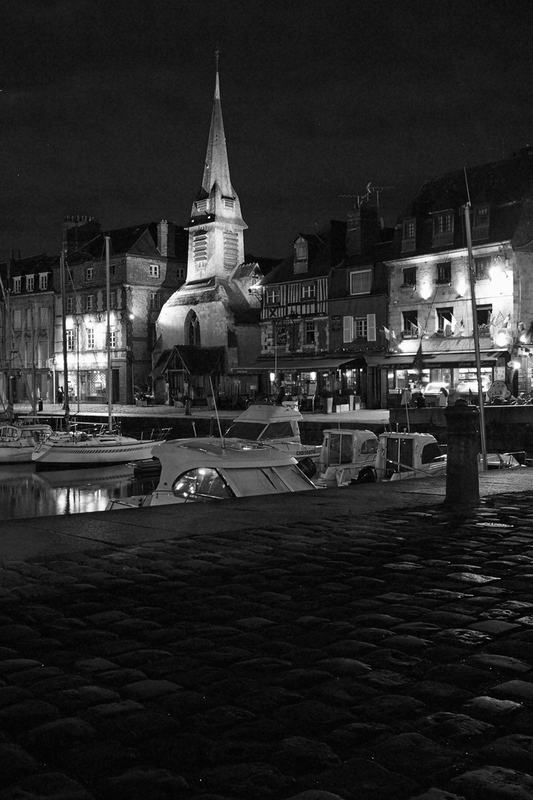 With it’s narrow streets and colorful buildings, leading towards a broad expanse of beaches and fishing ports, Honfleur lent to opportunities for stunning photographs. For the photographs of the market and that atmosphere I had my camera set to aperture priority and I was using my 85mm Sigma 1.4 set to the lowest aperture. I used exposure compensation to adjust the blown out highlights. We spent the night at a small bed and breakfast run by a local artist. This in and of itself was a treat. 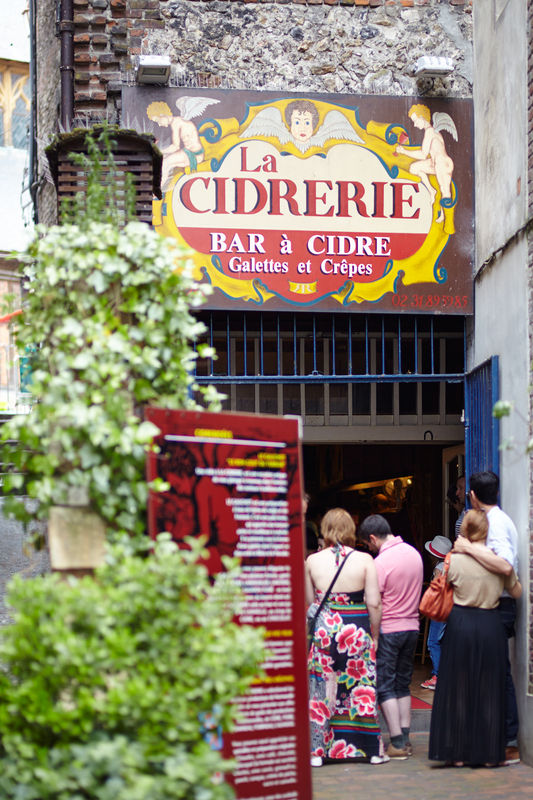 A blend of home and art made our lodgings a perfect backdrop for a true French experience. Added to which our artists proprietor provided us with the typical and delicious Continental breakfast of freshly baked croissants, served with jams and coffee. We spent the day wondering this charming village, taking in the sea side, its broad beach, views of stark cliffs and magical light, the very light that inspired Monet’s La Rue de La Bavolle. We too captured that light at twilight. The first photograph of this blog was taken just after twilight with multiple exposures and the blended together using luminosity masks. The shot of the merry go round was taken with 17-40mm lens. Having more than our fair share of gelato, crepes, and Panini’s throughout the day, we lazily soaked in the local charm as night crept in. Then, the village, rather than slow down to slumber, became alive with the bustle of dinner goers, bar hoppers and general night owls. Well into the night the activity continued, a melting pot of languages, those of tourists such as us, infused with the musical French language. 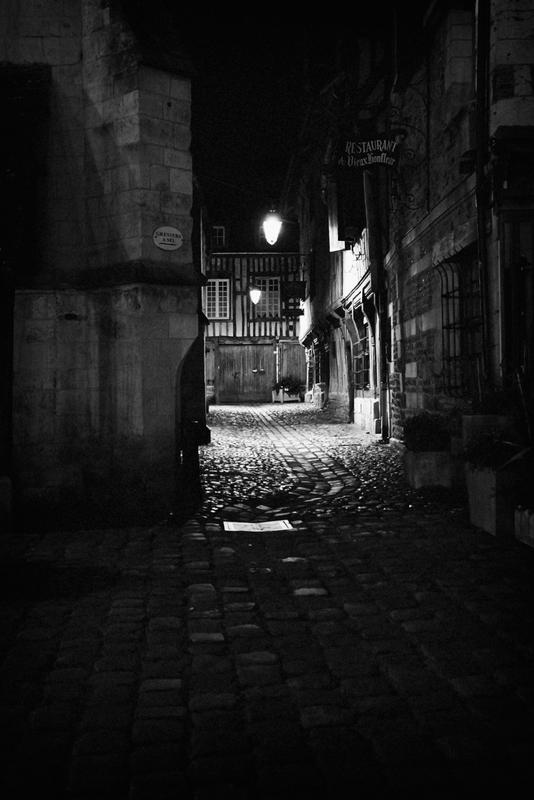 The street lamps cast a yellow hue on the cobbled streets and well-worn but well preserved buildings that make up Honfleur. 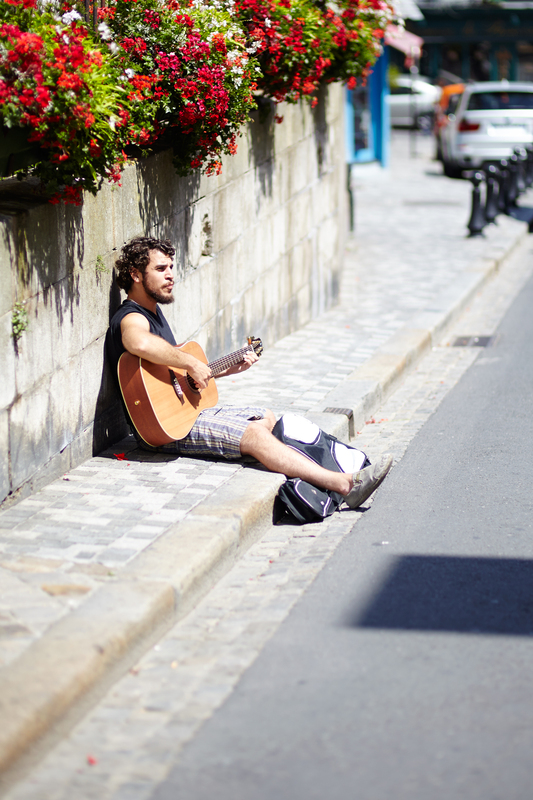 My photography of Honfleur was trying to capture the feel of the village and the people. This summer in Honfleur my student will take part in internship program in the hotel “ecole buissonniere”. I need a photographer in Honfleur, who can make a 3-5 minutes video of her day, something like “un jour de stagiaire russe en France”.